Our highly effective counseling services bring holistic healing, empowerment and renewal as you release and heal your pain, burden, stress and limiting blocks. The profound self awareness and personal growth you develop allow you to create a highly rewarding, fulfilling, meaningful life. Grace Cover offers highly effective one-on-one counseling services that help you unearth and release old scars, limiting blocks and unhealthy life patterns that so often keep you from experiencing the fullness of a rich, thriving and enjoyable life. Our highly effective private counseling sessions bring holistic healing, empowerment and renewal as you release and heal your pain, burden, stress and limiting blocks. 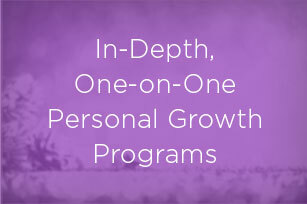 As you tenderly peel back the layers of self in these comprehensive programs below, deepest level of discovery, whole being healing and life giving renewal takes place. Please note: These three programs are available either one-on-one or in group setting. We are dedicated to helping people achieve healing, empowerment and renewal through innovative ideas, fresh energies, and dynamic programs. Our counseling services provide relief, stimulate growth and bring healing to the many troubling issues, occurrences and challenges that one encounters in life. Through your focus here, you will claim greater self-awareness, emotional freedom and a new path to living a life steeped in inner peace, personal joy and empowerment. You will be equipped to move forward in renewed clarity and truth on your journey to robust happiness and unstoppable success. Now is the time! Note: There is an initial, no-charge, intake consultation where we gather important information relevant to you via an email form. 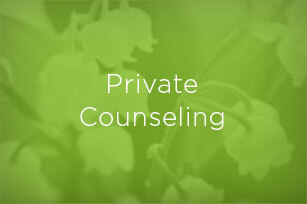 This saves your counseling dollars while we build our understanding of you.